We’ve reported on the increase in crime in Sweden recently, as well as the murmurings of war across the globe, and this story relates to both. 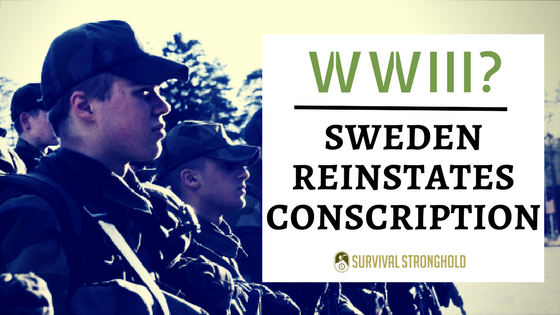 This week, Sweden has reinstated conscription, and will soon be drafting men and women into the armed forces, a practice that has not been in place since the Cold War. Government officials have stated they feel Russia is posturing itself more in recent years, between the annexation of Crimea and aggression in the Ukraine, and that it is time to dust off outdated war preparations and begin training the military and communities once again to be alert and ready. Sweden is a famously neutral country and not a part of NATO, so they would not necessarily be able to rely on Western superpowers like the US or the UK if they were to enter into conflict with Russia or be invaded. Peter Hultqvist, Sweden’s defense minister, explains that the country was too quick to dismiss concern after the Cold War ended and that politicians since then have been far too optimistic about the reality of threats in their region of Europe. Mistakes have been made, he explains, and it’s time Sweden face reality and bolster their preparedness efforts. 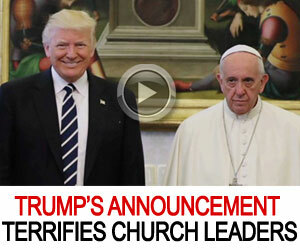 This certainly is an interesting move, as we keep an eye on the possibility of World War. The fact that a small, neutral country, is preparing itself for war could certainly indicate there’s a likely possibility of further chaos erupting in Europe. As we read last week, of course, Sweden is also becoming greatly destabilized as crime rates skyrocket due to their open border policies. It is unclear whether or not the reinstatement of conscription has anything to do with migrant crime. We’ll just have to keep our eye on this situation and continue to get ourselves prepared in the West. Here is a lengthy article we published on how to prepare for WWIII if you’re wanting to bolster your own home defense efforts.